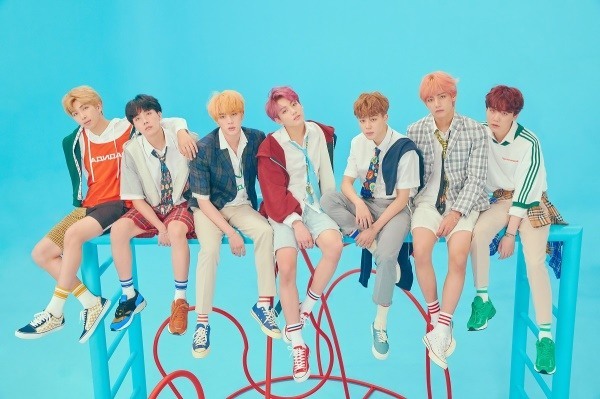 Big Hit Entertainment on Tuesday disclosed its biggest yearly profit total in company’s history, fueled by the immense popularity of boy band BTS at home and overseas. The label posted operating profit of 64.1 billion won ($56.71 million) in 2018, up 97 percent from the previous year. Its revenue reached 214 billion won, up 132 percent on-year. Meanwhile its net income came to 50.2 billion won, up 105 percent on-year. BTS in 2018 sold a combined 5.15 million copies, including 4.05 million copies of the band’s 2018 releases: “Love Yourself: Tear” and “Love Yourself: Answer.” Its ongoing “Love Yourself” world tour has garnered 810,000 audiences globally. The sales in album, contents, merchandising, publishing have also boosted the growth, the company added. With BTS’ announcement to return to the music scene with new album on April 12, Big Hit is expected to see bigger gain this year as well.